This year, the American Institute of Architects (AIA) awarded Denise Scott Brown and Robert Venturi the 2016 AIA Gold Medal, which acknowledges influential contributions to the theory and practice of architecture. The husband-wife team, credited with rocking the Modernist boat and heralding the design era known as Postmodernism, is the first pair to receive the Gold Medal, the AIA's highest honor. The architects forged a divergent path from the architectural dogmatism of the 1960s, investigating form, function and ornament across scales, from city to suburb to building and, with Knoll, to chair. "Through a lifetime of inseparable collaboration, they changed the way we look at buildings and cities," 2015 AIA President Elizabeth Chu Richter said in the press release. "Anything that is great in architecture today has been influenced in one way or another by their work." As with buildings and cities, so too with chairs: today, the witty Venturi Collection remains an insightful and intelligent comment on history, form and function in the design and manufacture of furniture. 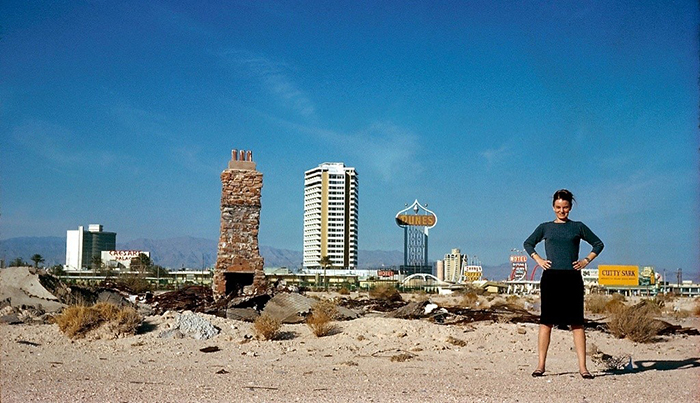 Denise Scott Brown in Las Vegas, c. 1972. Photograph by Robert Venturi. Image courtesy of VSBA. 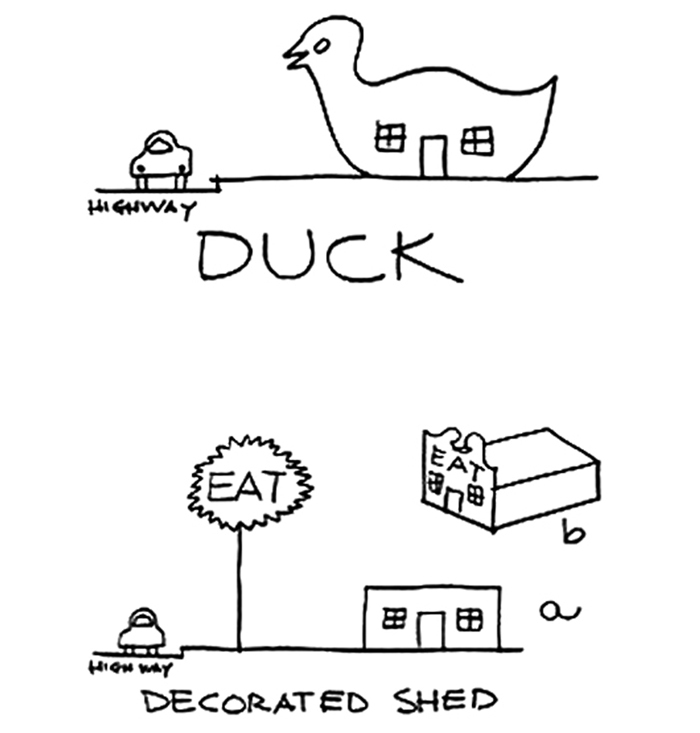 Graphic depiction of a "duck" and "decorated shed" by Denise Scott Brown and Robert Venturi. Image used with permission from Learning From Las Vegas. The new perspective split the architectural community's major figures. The Whites—Richard Meier, Peter Eisenman, John Hejduk and Michael Graves—came to the defense of the old guard modernists, while the Greys—Steven Izenour, Robert A.M. Stern, Charles Moore and Allan Greenberg—rallied behind Scott Brown and Venturi’s ideas. “Tanya” billboard, the cover image on both editions of Learning from Las Vegas. Photograph by Denise Scott Brown. Image courtesy of VSBA. 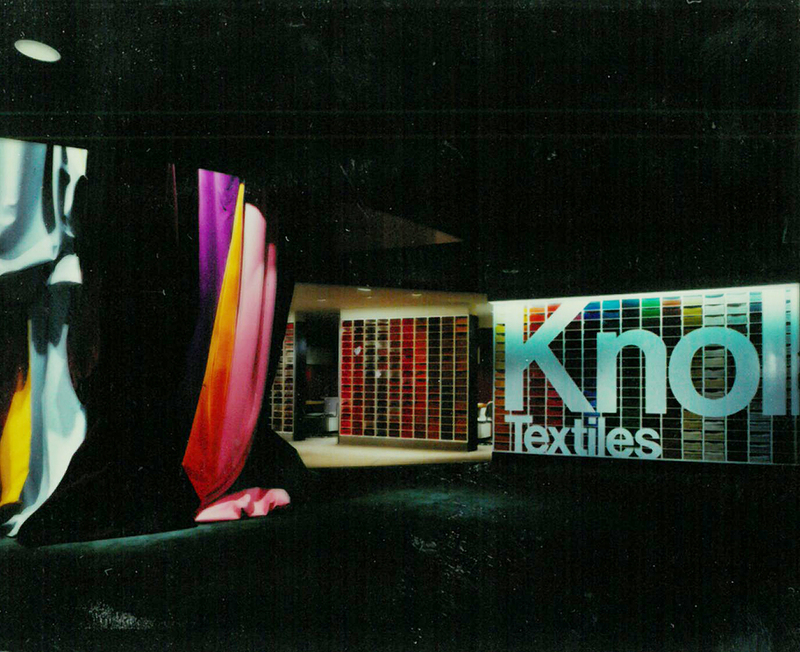 Venturi, Rauch and Scott Brown's redesign of the Knoll Madison Avenue showroom, c. 1980. Image from the Knoll Archive. Knoll, a company that had distinguished itself as an advocate for better work and life through design, saw groundbreaking thinkers in Venturi Associates. Knoll first asked Scott Brown and Venturi to redesign its 655 Madison Avenue showroom in 1980. In response, the architects dramatically reinterpreted Florence Knoll’s gridded textile wall, draping a color wheel of textile upholsteries from the ceiling to make a dramatic, flowing form of structural drapery. Throughout the showroom, a dark, upholstered backdrop heightened the visual impact of Brown and Venturi’s use of pattern, texture and ornamentation. 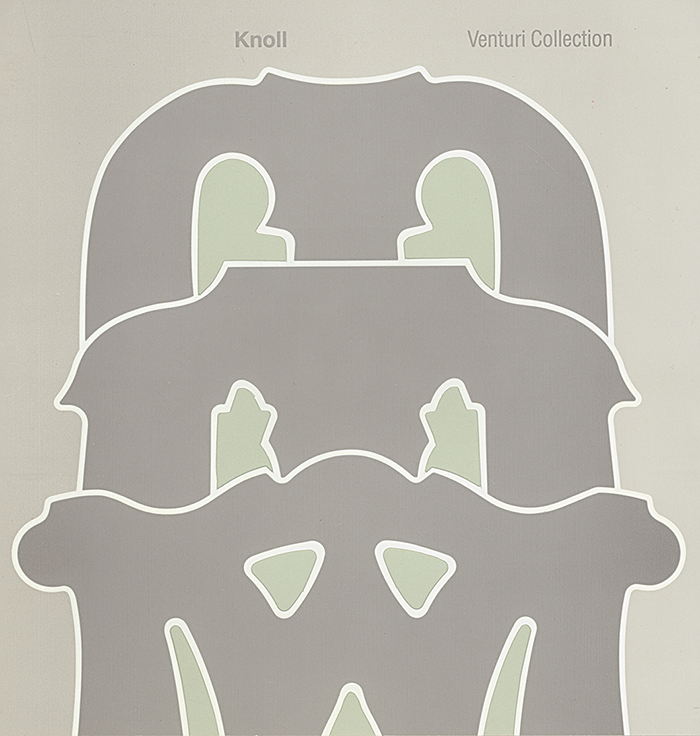 Knoll brochure for The Venturi Collection, c. 1984. Image from the Knoll Archive. 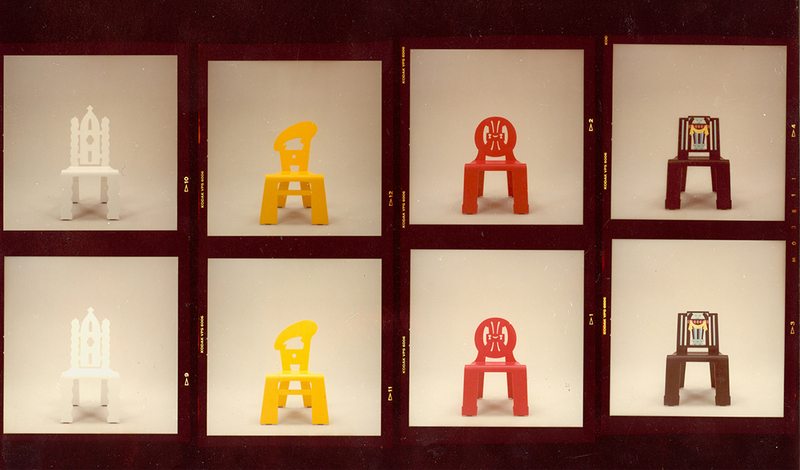 Photographic negatives of four of the chairs in The Venturi Collection, c. 1984. Image from the Knoll Archive. In May 1984, Knoll introduced a series of five chairs, which, taken together, presented a postmodern twist on the history of the chair: the Queen Anne, Chippendale, Sheraton, Empire and Art Deco. Three tables and a sofa completed the original collection. Soon after, Venturi introduced four more chairs, which were available only through special order. Although the chairs were Venturi's pet project, Scott Brown was also involved in the design process. 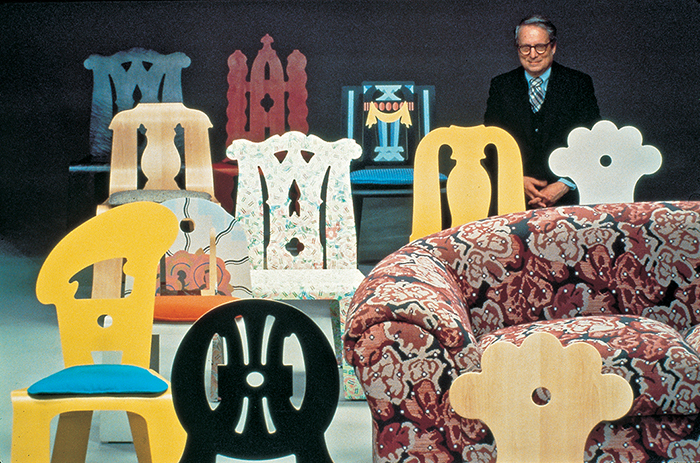 Robert Venturi with The Venturi Collection, c. 1984. Image from the Knoll Archive. In its material, the Venturi Collection continues the modernist preoccupation with molded plywood, especially when considered alongside the developments made by Thonet, Eames and Saarinen in the decades prior. But in contrast, the chairs’ final stamped-out silhouettes can also be viewed as examples of historical pastiche. For the design, Venturi insisted that the laminated plywood layers be exposed along the chair edge as a reference to, or—to use Scott Brown and Venturi’s terminology—a “symbol” of the chair’s industrial manufacture. 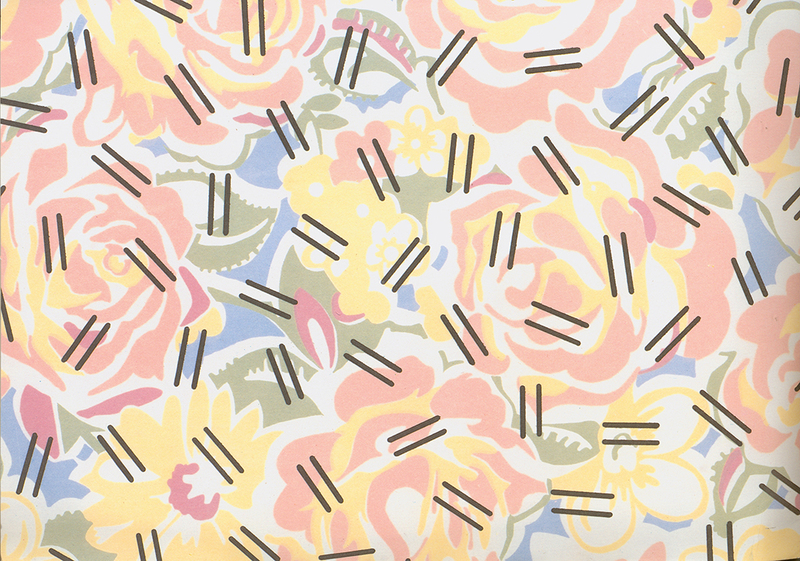 “Grandmother” fabric by Robert Venturi, c. 1984. Image from the Knoll Archive. The collection was accompanied by a small selection of custom fabrics. Venturi first developed the patterned plastic laminate fabric known as “Grandmother” after an upholstery seen in his grandmother’s house in Pennsylvania. Venturi had copyrighted his interpretation of the pattern in 1983, although subsequently licensed it to Knoll for use with his chairs. On the other hand, Tapestry, another patterned upholstery fabric, was specifically developed by Venturi for use on the Venturi Collection sofa. 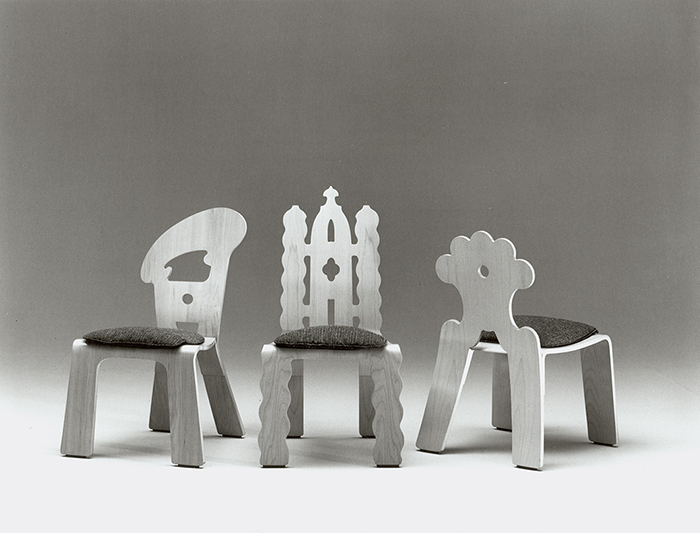 Three of the five chairs in The Venturi Collection, c. 1984. Image from the Knoll Archive. 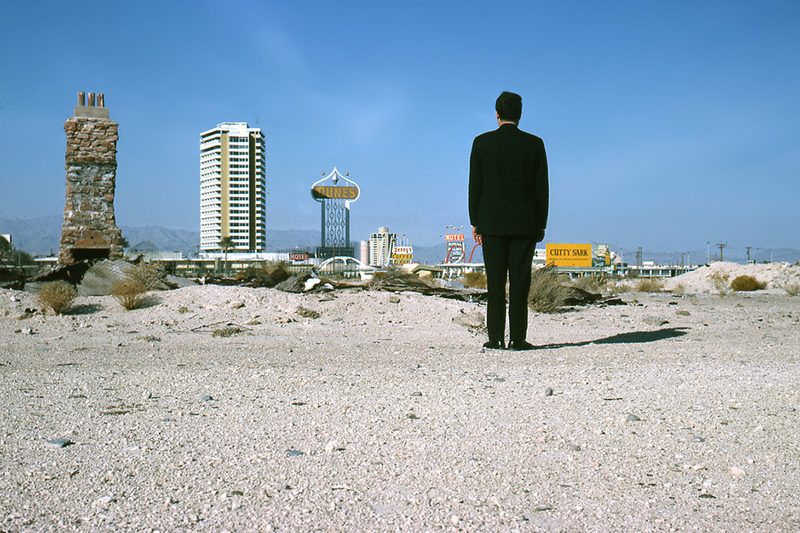 Robert Venturi in Las Vegas, c. 1972. Photograph by Denise Scott Brown. Image courtesy of VSBA. All images unless otherwise noted are from the Knoll Archive or courtesy of VSBA. Quotations attributed to Denise Scott Brown are from an interview conducted by Dezeen on August 18, 2015.